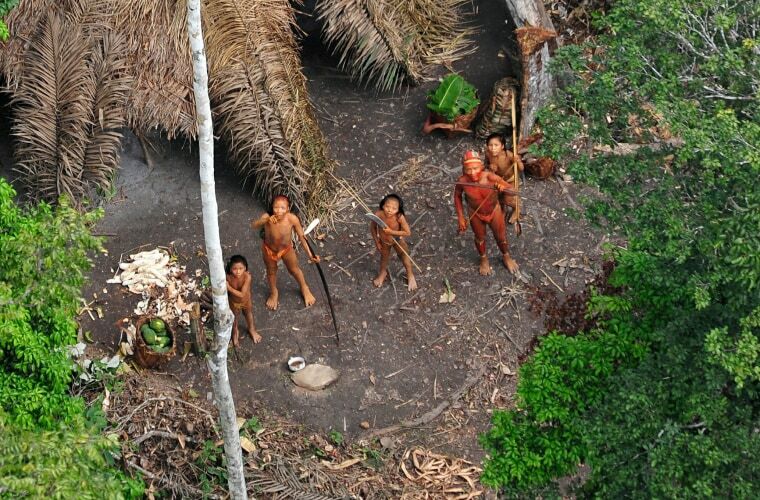 RIO DE JANEIRO — A federal prosecutor in Brazil’s Amazonas state has launched an investigation into a reported massacre of at least 10 members of an “uncontacted” indigenous tribe by gold miners. Brazil's indigenous affairs agency, Funai, released a statement confirming that there is an investigation into the murder which allegedly took place along the Jandiatuba river, near Peru’s border. "There is an ongoing inquiry into the case but I cannot speak about its content in order to not prejudice the investigation,” federal prosecutor Pablo Beltrand told Reuters. If confirmed, the murders would be one of the largest massacres of ingenious people in Brazil since 16 Yanomami indigenous people were killed in 1993. Funai officials in Amazonas received an audio clip with miners bragging about the crime, said Gustavo Souza, acting coordinator of Funai’s ethno-environmental protection front at Vale do Javari, where the murders allegedly took place. Souza said he heard miners in the recording saying there were women and children on the river bank and they shot them. “In the audio, one of the miners said ‘you know, I do not mistake a shot’,” Souza said. He said he also saw a picture of a hand-crafted paddle that reportedly belonged to the indigenous tribe. “Indigenous lands are at risk amid increasing invasions and we’re afraid that it’ll get worse from now on." The number of invasions in indigenous lands in Vale do Javari has been increasing amid budget cuts — part of austerity measures aimed at lifting Brazil out of its worst recession in decades. Souza said although Vale do Javari is one of the largest indigenous reserves in the country, it is patrolled by just 10 Funai officials who are charged with monitoring the largest number of "uncontacted" indigenous people worldwide. Endangered indigenous tribes are increasingly facing threats from miners in the Amazon rainforest amid government budget cuts to the Brazilian agency responsible for protecting them, local officials and activists say. Carla de Lello Lorenzi, spokeswoman at indigenous rights group Survival International, said the cuts put indigenous lives at risk. “These tribes are completely vulnerable. If miners and loggers get into their land, they are very vulnerable to violence and diseases,” Lorenzi said.